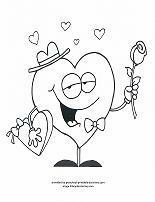 Valentines Day coloring pages are fun, but they can also help kids develop many important skills. 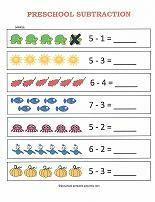 The foundation for early success is formed by learning eye-hand coordination, picture comprehension, and color concepts. 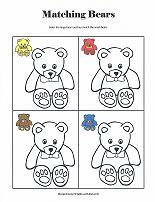 Enjoy these free preschool printable coloring pages! Have the kids give them as gifts to those they love. 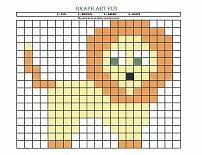 For a sturdier picture, print them out on card-stock paper. Add glitter to the hearts for a sparkly effect. Or... make the clouds sparkle. Spread a thin layer of glue on the clouds, sprinkle with salt and let dry. 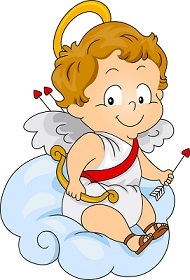 Start with a picture of a baby Cupid. He's small, but he's all ready with his bow and arrow. Notice the heart shaped tip on the arrow. 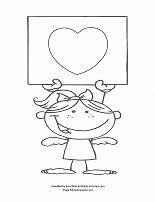 Here's some preschool coloring pages of hearts! A heart dressed as Cupid, and a young girl with a large heart. The heart is large enough to write a message on. Be creative! 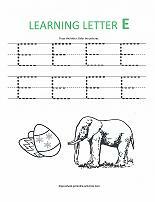 Teaching the letter C ? 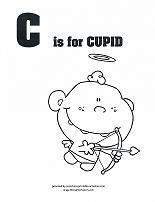 C is for Cupid! 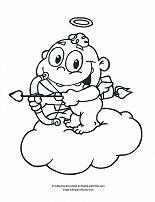 Have the kids draw Cupids cloud. Another C ! Color the girl holding the heart sign. 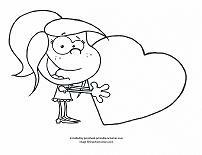 Encourage kids to write someone's name in the heart. For some fun coloring sheets, here's some cute pictures of animals celebrating the day! Choose a bear or a bunny. 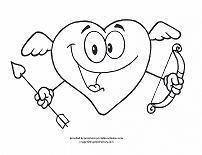 Color a romantic heart or another picture of Cupid. 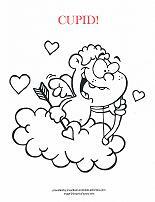 In this coloring page Cupid looks excited and in a hurry to spread the love around. Supply lots of red and pink crayons, talk about the Valentine holiday and the many symbols it has. Hearts, flowers, candy, doves and Cupid are all part of Valentines Day. 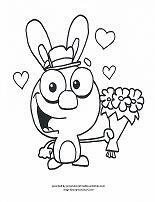 Valentines coloring pages are an added bonus for the holiday. Kids like giving out Valentines and celebrating with the special people in their lives. While they are coloring, ask the kids to describe what they find special about people and why they appreciate them. 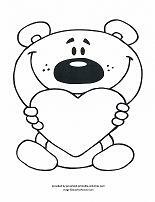 Printable Valentine Cards – Fun cards perfect for preschool card exchanges. Includes card choices for the adults in their lives. Larger cards are blank inside for the children to write their own personalized message. 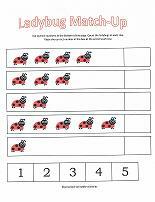 Valentine Worksheets – Teach patterns, counting, writing numbers, letters and sounds, the concepts of big and small, and scissor skills.